Vintage Old Real Photo Photograph Photographic Postcard. South Africa, Bloemfontein. 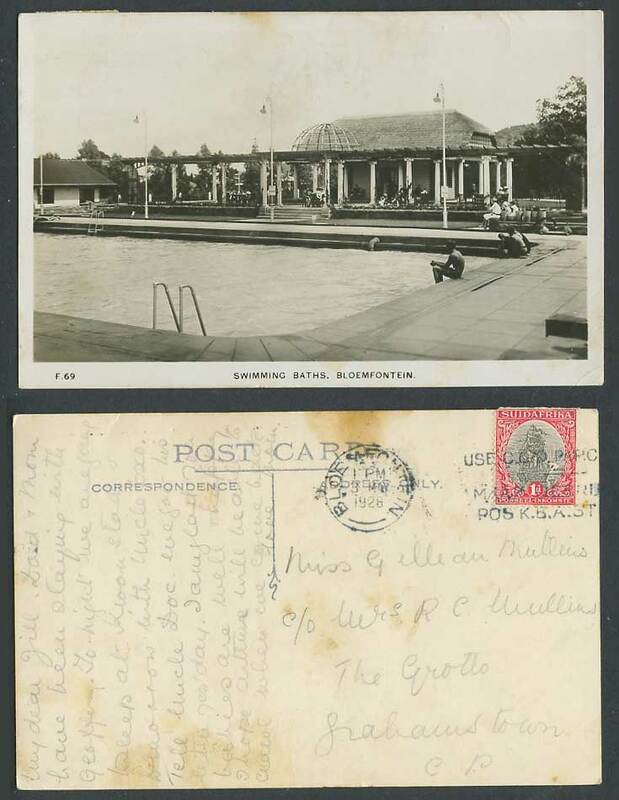 Swimming Baths, Bathing Pool. Postally Used in 1928 with Suidafrika 1d stamp. Background: Bloemfontein (Dutch for "fountain of flowers") is one of South Africa's three capital cities, along with Pretoria and Cape Town. Bloemfontein serves as the judicial capital, as well as the capital of the Free State province. The city's Sesotho name is Mangaung, meaning "the place where cheetahs dwell".